Nebraska is found in the Great Plains and the Midwestern Region in the United States. 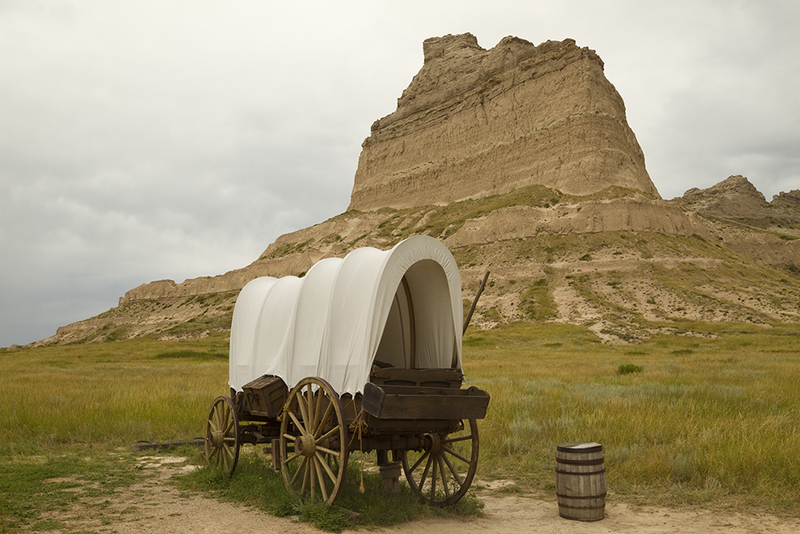 Historically, Nebraska was a very important stop for several historic trails, including the Lewis and Clark expedition. In 1867, Nebraska was admitted as the thirty-seventh state to the United States. It is the sixteen-largest state by area and the thirty-seventh most populous state. There are two major land regions in Nebraska, and the Dissected Till Plains contains the state's largest cities while the Great Plains contains many agricultural operations and ranches. Nebraska is known as the “Cornhusker State,” and it has had this nickname since 1945. This state is home to several different living demographics. It has larger cities and larger metropolitan areas that are thriving with several different economic sectors. There are also several more rural areas, large agricultural operations, and smaller communities. The local living is characterized by where you choose to settle, but you'll get a friendly atmosphere and people who are ready to help no matter where you live in the state. There are gorgeous views, a thriving economy, and you can live in a smaller town and commute a short distance to your job in a larger city. People are moving to Nebraska for the higher education opportunities and the very diverse job market. The cities in Nebraska are very fast-growing, and the cost of living is below the national average. Housing is also more affordable in this state compared to several other states, and the state also has a very low violent crime rate. All of these reasons make Nebraska a good choice for anyone who wants to be able to afford a comfortable lifestyle and easily get the best of both big city and small town lifestyles. The state also draws visitors who love the year-round recreational activities. Many people move out of Nebraska because they want to experience larger cities and faster-paced lifestyles that you may not get in the state. People who go to college for more niche jobs may also have difficulty staying in the state as there may not be enough jobs around to sustain them. People with advanced degrees are also leaving the state in search of higher paying jobs, or career opportunities that have higher advancement opportunities. 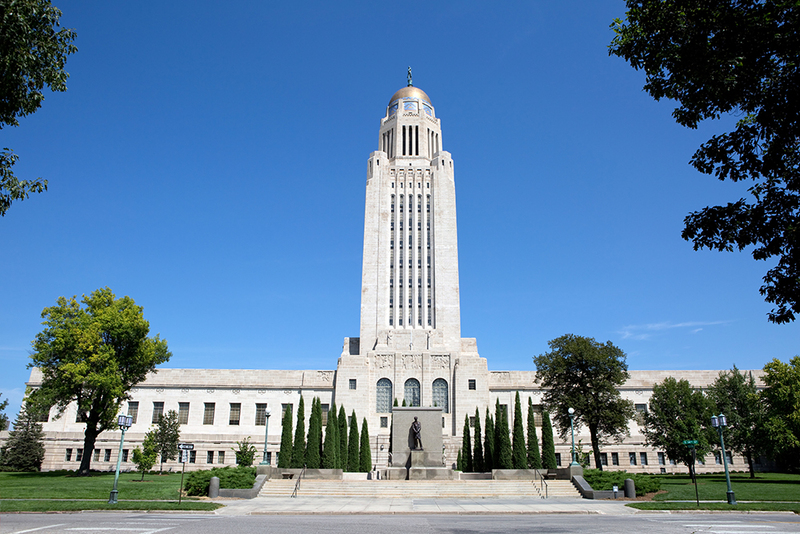 Because Nebraska has a lower cost of living, housing, and health insurance than a good portion of the rest of the nation, retirees are drawn to this state. It's easy for someone with a more fixed income to afford to purchase a home and live comfortably. Younger people are also drawn to Nebraska for the broad range of jobs and the fast-growth the cities are experiencing. People who are looking to settle down and raise a family are also drawn to this state as it has a very low violent crime rate, and this makes them feel confident that they can raise their families in peace. During the housing market crash, Nebraska's real estate market had a gradual fall that recovered very quickly. The third quarter of 2005 brought the first peak that slid into a slight plateau that picked up in the first quarter of 2006. The second quarter of 2007 brought another peak that fell away and rose into the final peak before the housing market crash during the first quarter of 2008. When the market hit this peak, it went into a steep slide that ended in the first quarter of 2008, only to rise into another slight peak in the first quarter of 2009. This peak fell away into a gradual descent that ended and rose into another small peak during the third quarter of 2010. This peak fell away to the lowest point of the housing market in the second quarter of 2011. Once the market hit its lowest point in 2011, it went into a quick rise that started to gradually level out after it peaked in the third quarter of 2011. The market continued this more gradual climb until the fourth quarter of 2013 when it had a slight drop. This drop recovered into another gradual rise that plateaued from the third quarter of 2015 until the first quarter of 2016. This plateau ended, and the market started to rise once again only to hit another slight plateau from the third quarter of 2016 until the fourth quarter of 2016. Once this plateau ended, the market started to rise once again, and it has been higher than it was before the housing market crashed since the first quarter of 2013. The Omaha-Council Bluffs Metro had a slightly rockier descent, and the market started to show signs of trouble during the second half of 2005 when it hit a peak and dropped off slightly. The market had another slight peak during the second quarter of 2007, and this peak dropped off only to rise into the final peak before the housing market crash. The first quarter of 2008 was where the market peaked, and once it peaked, it started to go on a steep fall until the third quarter of 2008. Once this fall hit a low point, it went into a gradual arise that dropped off once again until the first quarter of 2010. The first quarter of 2010 brought the start of a final peak before the market hit its lowest point in the second quarter of 2011. When the real estate market hit the lowest point, it went into a steep rise that ended in the fourth quarter of 2011. At this point, the market gradually leveled off and started to climb at a steady pace until it hit a slight peak during the fourth quarter of 2014. This peak dropped slightly before the market continued on a gradual climb that hit a slight plateau from the third quarter of 2015 until the first quarter of 2016. This plateau ended, and the market started to climb again, and this trend has continued today. The market's numbers have been higher than they were before the housing market crash since the third quarter of 2014. The Lincoln real estate market also had a slightly rockier descent than the state as a whole, but it has also had a more rocky climb as well. The third quarter of 2005 was the first time the real estate market showed it was in trouble, and it began to slow down. The market began to plateau, and this plateau ended with a few gradual rises and drops that ended with the highest peak during the first quarter of 2009. This peak fell away quickly, and the market plateaued from the second to the fourth quarter of 2008. The plateau ended, and the market peaked before dropping down to its lowest point in the first quarter of 2010. When the market hit this low point, it went into a gradual rise that peaked during the third quarter of 2010. This peak leveled out into a steady climb that lasted until the first quarter of 2014. This brought a sharp peak that dropped away by the third quarter of 2014, and the market resumed its climb. The market peaked again during the third quarter of 2015, and it fell away into a gradual drop. The market hit one more slight peak during the second quarter of 2016, and its been climbing ever since. The first quarter of 2013 brought housing market prices higher than they were prior to the housing market collapse. Most areas across the state of Nebraska as a whole had somewhat similar historic real estate trends. The start of the 1990s showed the real estate market on a steady upward climb. This climb continued largely interrupted until the first quarter of 1994 when it hit a short period of more rapid climbing that hit a slight peak during the third quarter of 1994. The third and fourth quarters of 1994 brought a short plateau that sent the market back into a steady climb. This continued until the middle of 1999 when the market started climbing at a steeper rate. Once the market started climbing at a steep rate, it continued through the start of the 2000s until the fourth quarter of 2003. This brought a slight peak that that went into a more gradual rise. This gradual rise hit a slight peak during the third quarter 2005, and this signaled the start of the housing market's problems before they collapsed. Over the past 33 years Nebraska's homeownership rate has fluctuated between a low of 66.6% in 1988 and a high of 71.2% in 2004. The ownership rate has had rather abrupt shifts in both directions, but remains well above the national average. Between 1994 and 1997 ownership fell from 68% to 66.7% before jumping to 70.9% in 1999. Ownership then slid to 68.5% in 2002 before jumping to an all time peak of 71.2% in 2004. Then another sharp fall happened, declining to 67.6% in 2006. Ownership then bounced back to 70.4% in 2010 before reaching a low of 66.7% in 2014. In 2016 ownership stood at 68% compared with a national average of 63.4%. 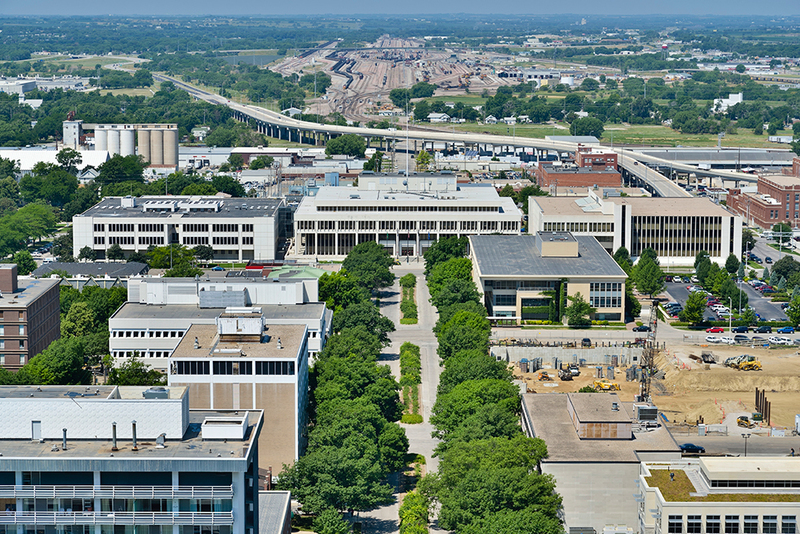 The city has a history of being an important transportation hub for the region, and the economy has evolved into a large business hub with several Fortune 500 companies headquartered here. It is also home to several Fortune 1000 company headquarters, the largest privately-held bank, and three engineer/architectural firms. This leads to a very diverse economy with a thriving job market. It has also ranked as one of the fastest recovering cities in the nation. Omaha has a humid continental due to its location out in the open without any large bodies of water or mountain ranges to moderate it. The summers and long and humid with July's temperatures rising in the seventies. There are also frequent thunderstorms in the summer and spring months, and some of them can be severe. Winters are cool and snowy with January's temperatures staying in the twenties. Spring and fall are slightly wetter seasons each year. This city has many cultural and historical points of interest, and draws over 12 million tourists to the city each year. The Omaha Community Playhouse is here, and it is the United State's largest community theater. Every year Omaha celebrates its local musical talents in the Omaha Blues, Jazz, & Gospel Festival. You can take the family and spend the day at the Henry Doorly Zoo, and this is considered to be one of the best zoos in the world. If you like history, take a walk through the Old Market and visit the various museums, art galleries, and exhibits. The city has several public and private schools, and the Omaha Public Schools is the largest public school district in the state with over 47,000 students. For higher education opportunities, there are eleven colleges and universities to choose from. The University of Nebraska Omaha is here, as well as the University of Nebraska Medical Center. Students can also attend like Creighton University which is one of the top ranked non-doctoral regional universities in the nation. The top three employers showcase Omaha's economic diversity, and the biggest employer is Offutt Air Force Base with over 7,700 employees. The second biggest employer comes from the healthcare sector, and CHI Health has over 7,500 staff. Finally, the third biggest employer is Omaha Public Schools with over 7,000 staff members. The city's economy is doing very well, and it has an unemployment rate that is well below the national average. There has also been recent job growth over the past year, and this could further strengthen the economy. Also, Omaha's economy is slated to add another 37% of jobs in the coming decade, and this may also work to strengthen the local economy. Omaha has a local median home price of $159,700, and this works out to an average price per square foot of $133. These prices have increased by 7.8%, and they're projected to go up by another 3.6% during the coming year. The Omaha-Council Bluffs Metro has a local median home price of $222,000. The second largest city in the state of Nebraska is also its capital city, and Lincoln has a population of 280,364 people. This population makes Lincoln the seventy-first largest city in the United States. Lincoln acts as a major agricultural and cultural center for the larger region and metro area. The Lincoln Metro has a population of 326,921 people as of the 2016 census. This city is extremely diverse, and it is classified as a refugee-friendly friendly city. Most of the economic strength in this city comes from the manufacturing and service industries. However, as it is a capital city, the government also plays a large role in the economic strength along with the education industries. The smaller economic supports are finance, publishing, healthcare, transportation, pharmaceutical, information technology, and the railroad. All of these influences make for a very diverse, healthy economy with several available jobs. Lincoln has a humid continental as it is located in the middle of the Great Plains and it doesn't have any large bodies of water to temper the local climate. There are four seasons with the winter months being cool and dry and the summer months being hot and humid. The spring months bring thunderstorms of varying severity, along with the occasional tornado. July is the hottest months with temperatures in the seventies, and January is the coldest month with temperatures in the thirties. However, the summer temperatures tend to have wide daily fluctuations. The Pinnacle Bank Arena has been a large tourist draw since it opened in 2013, and it hosts dozens of music events throughout the year. The Lied Center is another popular tourist attraction as it hosts numerous Broadway shows. Tourists also come to visit the Sunken Gardens and the Speedway Motors Museum of American Speed. Lincoln Public Schools is the only public school district in the city, and there are also several private school systems as well. When it comes to secondary education, there are nine colleges and universities to choose from in the city limits. The University of Nebraska–Lincoln has over 25,000 students enrolled, and it's the largest university in the state. Students can also attend Nebraska Wesleyan University or the Southeast Community College. 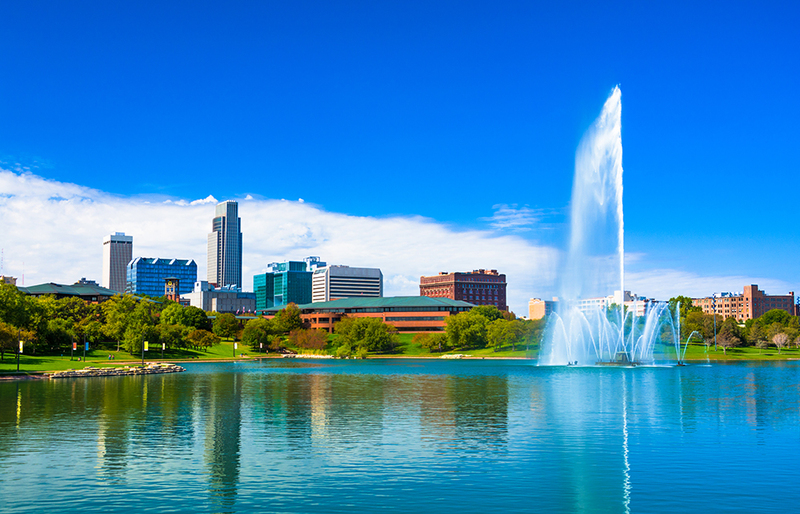 As this is the capital city of Nebraska, the government is the largest employer. The City of Lincoln has over 9,100 year-round employees. The second biggest employer is Lincoln Public Schools with around 8,150 staff members. Finally, the employer that finishes out the top three largest employers is the University of Nebraska–Lincoln with 6,400 employees. The economy in Lincoln is strong and is an unemployment rate that is over 2% below the national average. In addition to this, the city has also had job growth over the past year to strengthen the economy further. Over the next ten years, Lincoln estimates that it'll add 37% more jobs to the local economy. The local median home price for Lincoln is $166,200 with an average price per square foot of $154. These prices have increased by 7.9% in the last year, and they're projected to go up by another 3.4% in the coming year. The Lincoln Metro has a local median home price of $214,955. The city of Bellevue is the third biggest city in the state, and Bellevue is French for “beautiful view.” This city was settled in the 1830s, and it was incorporated as a city in 1855. This makes it the oldest city in Nebraska. The city is the largest in Sarpy County and has many beautiful historic buildings which attract tourists from both Omaha and the nation at large. 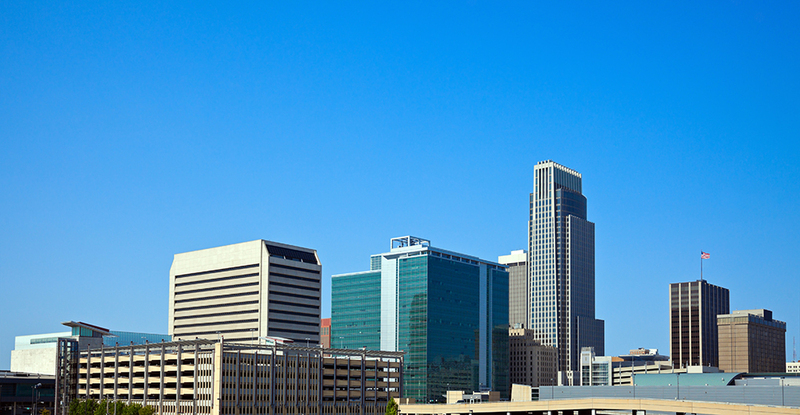 Bellevue is part of the Omaha-Council Bluffs Metro, and this Metro has a population of 924,129 people. The economy of this city is also very diverse, and it has a significant influence from the education and healthcare sectors. The service, retail, finance, and business sectors also make up large parts of the local economy. It has an unemployment rate that is over 2% below the national average, and it has had job growth over the past year. Over the next ten years, Bellevue is projected to add 38% more jobs as well. Residents experience a humid continental climate with this city, and it averages 213 days of sun per year. July is the hottest month, and it has temperatures up in the high eighties. January is the coldest month each year, and it has temperatures in the low twenties. The snowfall amounts for Bellevue are moderate to heavy, and it averages 28 inches of snow per year. The Sarpy County Historical Museum is a popular tourist attraction that showcases the local history of the city. People also come to walk along the trails at the Fontenelle Forest Nature Center and take in the stunning views. People also come to the city to experience the Midwest Pirate Fest every year. Bellevue Public Schools serves this city, and it has over 8,500 students enrolled. This school system has fourteen elementary schools, three middle schools, and two high schools. Students can attend Bellevue University, and it is the only college in the city. The biggest employer in the city is from the education sector, and Bellevue Public Schools has over 1,000 staff. The City of Bellevue is the second biggest employer, and it has over 950 staff members. Finally, the third biggest employer in the city is Bellevue University with 875 staff members. The local median home price for Bellevue is currently $168,800, and this averages out to a price per square foot of $127. These prices have risen by 4.4% in the last year, and they're projected to rise by another 3.5% in the coming year. The Omaha-Council Bluffs Metro has a local median home price of $222,000. Grand Island is the fourth biggest city in the state with a population of 51,517 residents. This city has won the All-American City award three times, and it is ranked as one of the best cities in the nation. In 1857, a group of settlers came to the area and established a small settlement that grew rapidly. The Union Pacific Railroad played a large role in the town's growth. The Grand Island Metro has a population of 85,148 people, and it spans five counties. The city experiences very hot and humid summer months with cool and snowy winter months. July and August are usually the hottest months each year with temperatures in the eighties. December and January are the coldest months of the year with temperatures in the thirties. There are four seasons with the spring and fall months being shorter. Also, the city has fairly consistent precipitation year-round. Grand Island is home to several museums, cultural points of interest, festivals, and historical places which draw visitors from across the state. It has been home to the annual Nebraska State Fair since 2010, and this eleven day event draws hundreds of people to the area. Tourists can also visit the Stuhr Museum of the Prairie Pioneer, or take a day trip and visit Island Oasis Water Park. Grand Island Public Schools serves this city, and this school district has around 20,000 students ranging from elementary school to high school. There are also two options for people who want to pursue a college degree. Students can attend Doane College or they can attend Central Community College. The biggest employer in Grand Island is JBS USA with 3,200 employees. The second biggest employer comes from the health sector, and CHI Health St. Francis has over 1,300 employees. The third biggest employer comes from the education sector, and Grand Island Public Schools employs 1,250 staff. Although Grand Island has a local unemployment rate that is below the national average, it has also lost almost 2% of its jobs in the past year. However, this may change in the coming years as Grand Island is projected to add 32% more jobs to the economy to help strengthen it. This city has a local median home price of $150,600, and this price averages out to $129 per square foot. These prices have risen by 2.9% in the last year, and they're estimated to go up another 1.2% in the coming year. The Grand Island Metro has a local median home price of $179,900. Kearney is the fifth biggest city in the state of Nebraska with a population of 33,520 people. The city was founded in 1880 with the railroad's westward push. Originally, the city was spelled “Kearny,” but due to a postmaster constantly misspelling the name, eventually the extra “e” stuck. 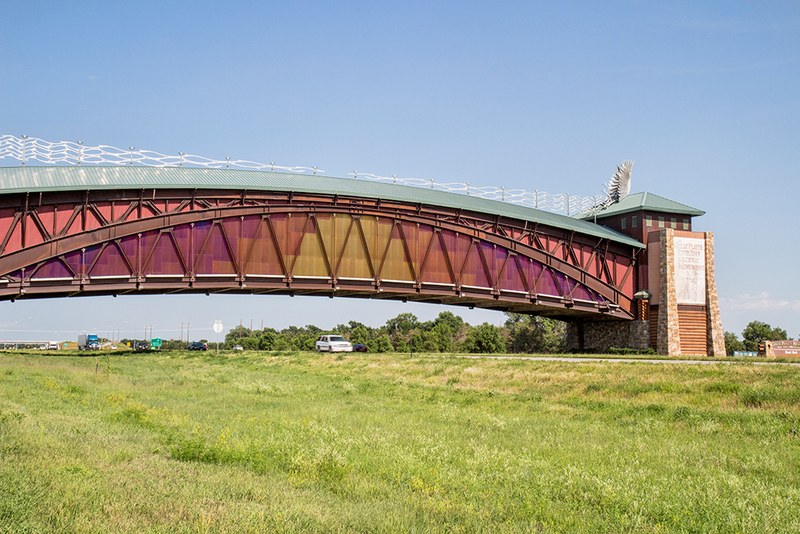 Kearney is also part of the Kearney Metro, and this Metro has a population of 55,935 residents. Healthcare and education make up two of the largest local economy support for Kearney. Retail, transportation, service, manufacturing, and the restaurant business also make up large economic supports. These sectors lead to a very diverse economy with a variety of different jobs available. This city has hot and humid summer months with mild to cool winter months with moderate snowfall amounts. The summer months have temperatures that usually stay in the upper seventies to the low eighties, and the winter months have temperatures that fluctuate between the twenties to the thirties. Spring and fall are dry, and they're typically very short seasons. The arts are important to this city, and it has several galleries, exhibits, museums, and perform arts groups all over the city. Tourists can visit the Museum of Nebraska Art, or they can spend the day exploring Fort Kearny State Historical Park. The city also hosts the popular Fall Festival of Crafts each year. Kearney Public Schools serves this city, and it has twelve elementary schools, two middle schools, and a high school. There are also several private and religious schools in the city as well. For secondary education students can attend the University of Nebraska at Kearney. Healthcare and education dominate the economy, and this is reflected in the top three employers. The biggest employer in the city is Good Samaritan Hospital with 1,300 staff members. The second biggest employer is the University of Nebraska at Kearney with around 1,100 staff. Finally, the third biggest employer is also from the education sector, and the Kearney Public Schools has 900 staff. Kearney has a very strong economy, and the unemployment rate is over 2% below the national average, but they've also lost jobs over the past year. However, they're projected to add 36% more jobs to the economy in the coming years, and this may work to strengthen it significantly. The local median home price for Kearney is $190,000, and this price works out to a price per square foot of $144. These prices have risen by 5% in the last year, and they're on track to rise another 2.4% in the coming year. The Kearney Metro has a local median home price of $239,950. According to the United States Census an estimated 1,907,116 people live in the state of Nebraska. The state has 76,824.17 mi² of land area, which gave it a population density of 24.82 per mi². Here is a list of cities, towns, villages & Census Designated Places with more than 1,000 residents, with their estimated population as of June 2016 & the 2010 United States Census. For Census Designated Places (CDP) where there was no population estimate available for 2016 the 2011-2015 American Community Survey 5-Year Estimates data was used. As of 2019 the conforming loan limit across the United States is set to $484,350, with a ceiling of 150% that amount in areas where median home values are higher. High local affordability makes the $484,350 ceiling apply statewide for single unit homes. Dual unit homes have a limit of $620,200, triple unit homes have a limit of $749,650 & quadruple unit homes have a limit of $931,600. Residents buying premium properties in the North Platte & Lincoln metro areas may be above these thresholds, requiring a jumbo loan. Jumbo loans typically have a slightly higher rate of interest than conforming mortgages, though spreads vary based on credit market conditions. Several different types of home loans are available in the Cornhusker State. Fixed-rate loans are very common, and the terms include thirty, twenty, fifteen, and ten years. The longer the life of the mortgage, the lower the monthly payment will be, which is why the 30-year loan is the most popular. The downside of this, however, is that the APR is higher compared to shorter-term loans. The difference can be as large as a full percentage point. The Nebraska Homebuyer Assistance Program allows people to afford a mortgage by helping to pay down payments, closing costs, and by giving them a mortgage loan that has a lower interest rate than a conventional mortgage. Applicants will have to invest a minimum of $1,000 before they receive the program's funding. The funding can also come in the form of either a first or a second mortgage. If the applicant gets a second mortgage loan through this program, it has a maximum cap of 5% of the home's purchase price. It also has a term of 10 years of 120 months, and it has an interest rate of 1%. You can use this program with a conventional loan, FHA loan, Rural Development loan, or a VA loan. The First Home Focused Program is for buyers who don't need assistance with their closing costs or down payments, and for buyers who don't qualify for the Military Home Loan Program. The applicants must also want to purchase a home in the program's targeted area. Any applicant that applies for this program must be able to meet the program's income limits, and the property they want to purchase must meet the price limits. If an applicant has a 20% down payment, the program doesn't require that the applicant have mortgage insurance, and they can get a mortgage loan with a lower interest rate. You can view other loan programs including their Military Home program here. Many cities and counties across the state also have local programs worth exploring. Homeowner's insurance policies typically do not cover flooding. Most of the state of Nebraska is considered to have a very low flooding risk. Some counties have higher risk of flooding. Much of the state - particularly the eastern portion of the state - is considered to have a moderate tornado risk. The southeast portion of the state has a high to very high tornado risk. A basic homeowners policy should cover financial damages from tornadoes. Nebraska has a slightly above average property tax rate, coupled with median home prices that are well below the national average. A property owner should expect to pay $2,164 per year on a property that has an accessed market value of $123,300. This works out to 3.62% of the property owner's annual income. Sarpy County currently collects the highest property tax rates in the state at $3,281 per property, per year. Grant County collects the lowest property tax rates in the state at $800 per property, per state. In 2016 single-family homes were valued at $174,731 across the state. At a property tax assessment of 1.5% that led to an assessment of $2,614. In Omaha the average assessment on single-family homes was $3,089. The national average property tax rate was 1.24% on a median single-family home value of $279,715. Nebraska's Homestead laws were put in place to protect struggling homeowners who have fallen into danger of losing their property when they're seeking protection from bankruptcy. The homeowner can claim a portion of their property which is usually their primary residence and a few acres as their homestead. Once they do this, the homestead in question is safe from creditors who are trying to satisfy debts. In Nebraska, a homeowner can claim up to $60,000 and one acre or two lots of their property as their homestead in urban areas and 160 acres in rural areas. Nebraska deed forms are available for individuals, corporations and limited liability companies. The types of deeds are mainly Warranty deeds, Quitclaim deeds and Grant deeds. Special warranty deeds in Nebraska are special documents prepared with legal help and they contain details of ownership and title transfers. Even though all deeds serve one common purpose, the differences are in the purpose and circumstances surrounding the transfer. These deeds require legal witnesses and notarization. You do not need to change your property titles when you move from one county to another in Nebraska. These titles are valid irrespective of where you live in Nebraska. Nebraska allows for both nonjudicial and judicial foreclosures. However, most mortgage lenders choose to go through the nonjudicial foreclosure process as it can be quicker than involving the court system. A mortgage lender can sue the defaulted borrower for a deficiency judgment with either foreclosure process, and this ability makes Nebraska a recourse state. However, in order for the mortgage lender to legally obtain a deficiency judgement, they have to file the lawsuit within three months of closing the foreclosure process in a nonjudicial foreclosure. If the mortgage lender uses the judicial process, the deficiency judgement must be part of the initial foreclosure lawsuit. The nightmare of all debtors will be the threat of a foreclosure in the event of default. The foreclosure procedure begins when the lender files the petition and publicizes the notice of default. In Nebraska, both court procedures and out of court procedures are prevalent. The procedure for non-judicial foreclosure will depend on the timing mentioned in the deed of trust. It takes approximately 90-120 days for a foreclosure to become effective. This period gets an extension when the debtor seeks to apply for bankruptcy or seeks delays and postponements or even judicial help. The debtor may have no right to redemption, but he can always re-instate the loan. This is advantageous to the debtor since he can continue paying off the loan and the debt is nullified. However, once he misses a payment again, the lender can proceed with foreclosure. All the fees and other expenses should be paid in cash or check as quickly as possible. There are certain tips that you can remember to avoid foreclosure. For one thing, do not ignore the mails sent to you by the lender, because it may mention details of foreclosure when you fail to make payments. Understand your mortgage rights and read up thoroughly on the information online regarding preventing foreclosure. There are certain companies that claim to prevent foreclosure for you; do not go for them. The fees you pay them can easily pay off your mortgage, but let your lender know as soon as you encounter a problem regarding payback. Use your assets carefully and hold the reins on unnecessary spending until you pay back the whole amount. Check out the following resources to learn more about the Nebraska real estate market.